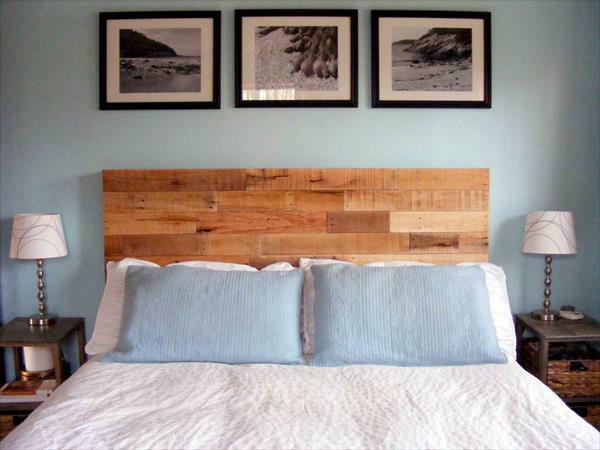 Headboards really do a great job in turning your master bedroom into a focal point. They not fit to the head of your bed frame but also accentuate the background bedroom wall for bigger statements of bedroom decors. 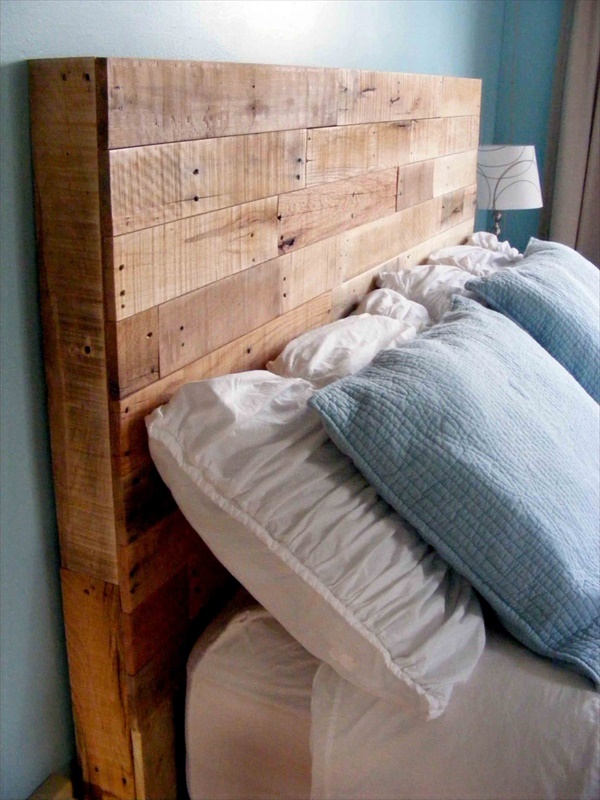 To build a headboard is really easier with pallets and you can consider it just a child’s play to do it at home! 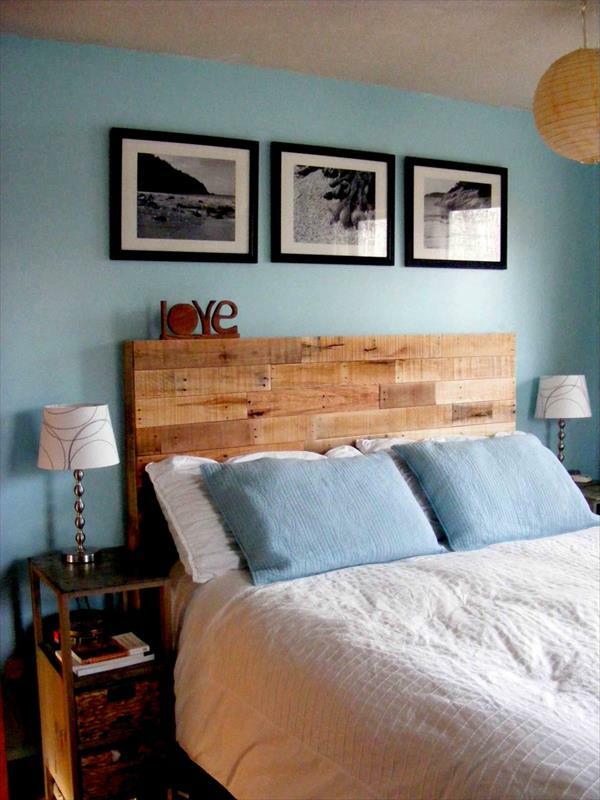 Here comes the nice design of DIY wood pallet headboard, made of pallets with perfect bright wooden appeal. 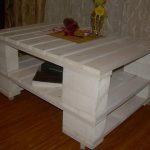 Dissemble the pallets and use the separated pieces to build a large rectangle to fit the size of your bed and that’s it! 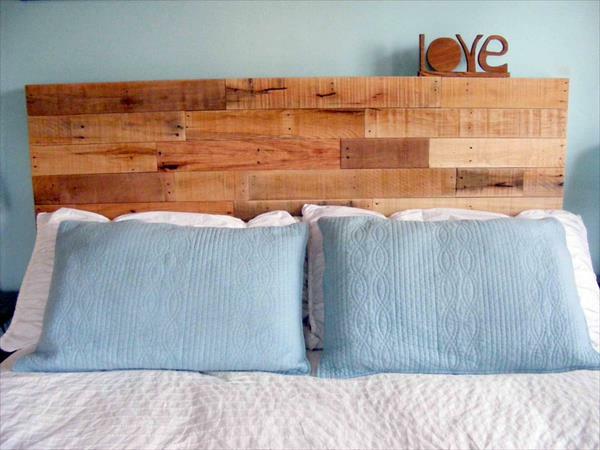 A fab headboard is just ready to put extra beauty to your bed frame. 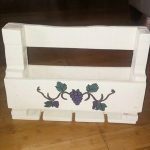 The budget tag will really make you happy a lot as total cost of this lovely headboard craft is just next to zero due to all time free of cost availability of pallets. 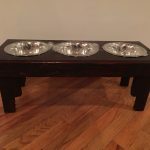 Choose a paint shade or stain compatible to pallet wood nature to give a nice finish to it to make it more precious to eyes!